Hublot, the luxury Swiss brand unveiled a special limited edition collection of timepieces for men at the amfAR New York Gala on February 9, 2011. The event honored President Bill Clinton, Diane von Furstenberg, and amfAR Founding International Chairman Dame Elizabeth Taylor for their leadership in the global struggle against HIV/AIDS. The black-tie benefit marked amfAR‟s 25 years in the vanguard of AIDS research, and featured a special reunion performance of “That‟s What Friends Are For” by the original recording artists: Sir Elton John, Gladys Knight, Dionne Warwick, and Stevie Wonder, coming together for the first time in 26 years. The Gala kicked off New York Fashion Week at Cipriani Wall Street, where Hublot CEO Jean-Claude Biver was a Chair of the event along side amfAR Chairman Kenneth Cole and others. Mr. Biver spoke of Hublot‟s vision for sharing and caring and his words were highly applauded by his “table mates” former President Bill Clinton, Dr. Mathilde Krim and the over 800 guests, which filled Cipriani Wall Street to capacity. Later on, President Bill Clinton was particularly touched by the fact that his daughter Chelsea presented him with the amfAR Honoring award. 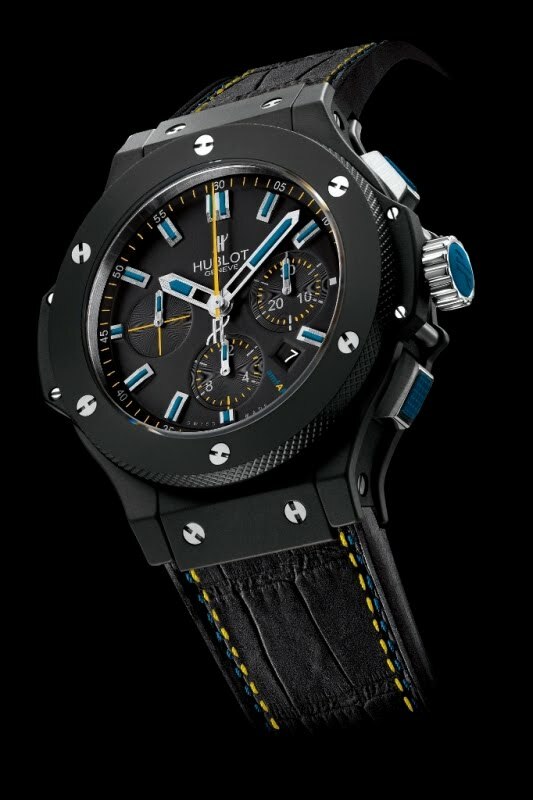 In honor of amfAR‟s 25th anniversary, Hublot has created a special limited edition collection of timepieces for men featuring the foundation‟s colors and logo. The men‟s watch, a special design limited to 100 pieces only of the Big Bang Black Magic, features a 44 mm black ceramic case and bezel and houses a self-winding chronograph movement and rubber-alligator strap. The evening featured a gala dinner, live auction, performance by David Garrett, and honoree tributes, culminating in the special reunion performance of “That‟s What Friends are For”. For this special occasion, Jean-Claude Biver was pleased to announce the auction of the first timepiece of the Hublot amfAR collection, numbered 001/100 of the Big Bang Black Magic limited edition timepiece celebrating amfAR 25th anniversary. The winner and a guest are invited to travel to Geneva courtesy of Delta Air Lines, with a 3 night stay at the Mandarin Oriental, Geneva, to receive a private tour of the Hublot Factory near Geneva to pick up the timepiece. Mr. Biver will also personally bring the winner and his/her guest to his estate for an evening that will include Château d‟Yquem wine and Mr. Biver‟s own famous Swiss cheese. This amazing package was won after a very competitive bidding for $75,000.